Will Jackson is a desperate man - desperate to be a dad, that is. Tired of his laddish lifestyle, he's redecorated the spare room, traded in his beloved sports car for a 4x4, and even drawn up a list of his favourite baby names. In fact, there's only one thing left he's got to do - find a femalewho'll have his child. But where on earth is he going to find a woman who meets his exacting standards? Certainly not in the usual bars and clubs he frequents. But Will has a plan - you can find everything else on the Internet these days - so why not someone to start a family with? 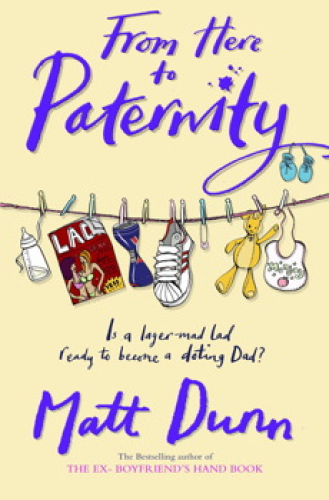 From Friends Reunited, through the weird world of online dating, even to auctioning his 'services' on Ebay, Will's journey to paternity is a hilarious romp through the pitfalls of procreation. But when push comes to shove, is Will prepared to trade passion for Pampers? What do men really look for when it comes to starting a family? Can the perfect mother also be the perfect partner, or are there more important things than a nice-fitting pair of genes?